This page will be devoted to the tutorials I have created to share with you. I hope that you enjoy and that you check back from time to time to see what new tutorials I have available for purchase. My tutorial features lots of photos with step by step instructions to recreate this beautiful Gift Card Holder. Although this is a Christmas themed gift card holder it would be very easy to adapt to any occasion. The cost for the tutorial is $5.99. I fell in love with the Simply Adorned range of jewellery when it was released in the Summer Mini (Australia December 2011). 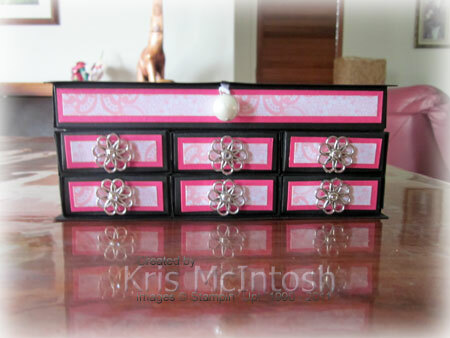 I wanted to create a jewellery box to hold all the pieces that come in this range. My tutorial is 19 pages long and has photo step by step instructions to create this beautiful piece. The instructions cost $5.99. I love this gorgeous stamp set and especially love using it in a Vintage way. You will receive the instructions to make the box as well as the four cards and envelopes. 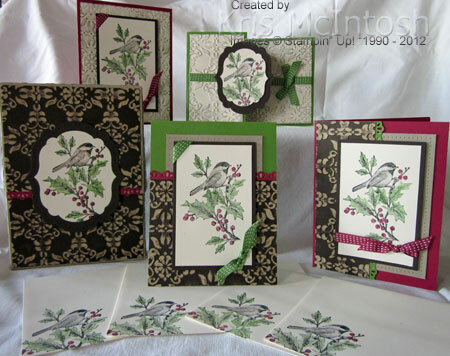 This tutorial was originally created for Stampin’ Fun & Friends Cards, Cards, Cards Edition. If you didn’t get a chance to subscribe before the session closed, you can now purchase this tutorial directly from me for $2.50. 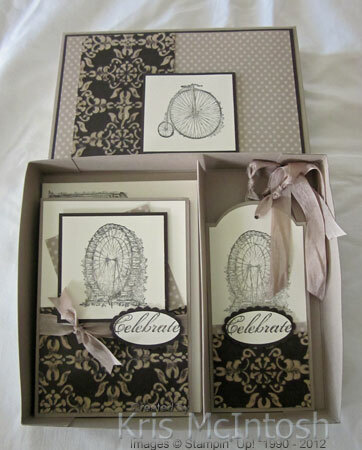 This boxed set makes use of the Feeling Sentimental stamp set which is available FREE with a qualifying order during Sale-A-Bration – 22.1.13 to 22.3.13. I think the cards and tags have a really vintage feel to match the stamps. I have used Early Expresso Core’dination card stock for this tutorial but you could easily substitute something else of your choice. The tutorial contains the instructions for the 3 cards and envelopes, 3 tags and the presentation box. I know that you will love creating this set for yourself, or as a gift for someone special. The cost of the tutorial is $2.50.